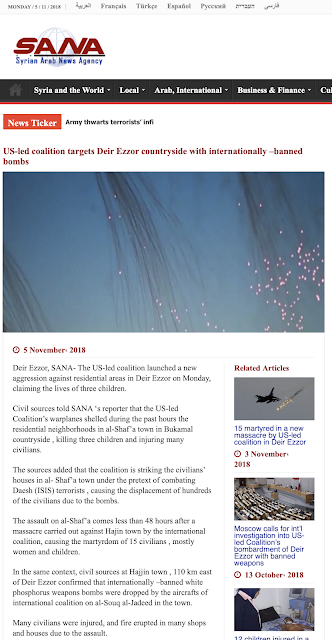 Since the beginning of the Syrian civil war in 2011, Washington has made it its aim to vilify the Assad government by repeatedly informing the world that the pro-regime side in this conflict has used chemical weapons against its own civilian population. 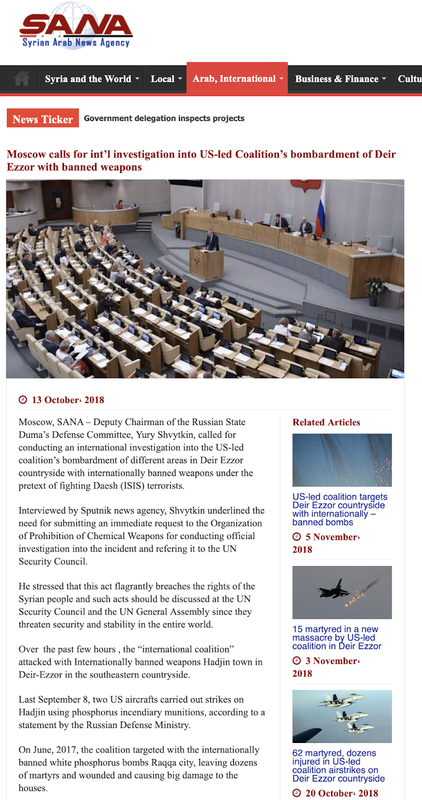 Recent news from Syria would suggest that the United States has behaved in a manner that flaunts international conventions with the use of certain banned weapons. While you might say or think that this is just pro-Assad propaganda, in fact, it is little different than the American allegations that the Assad government is using chemical weapons. 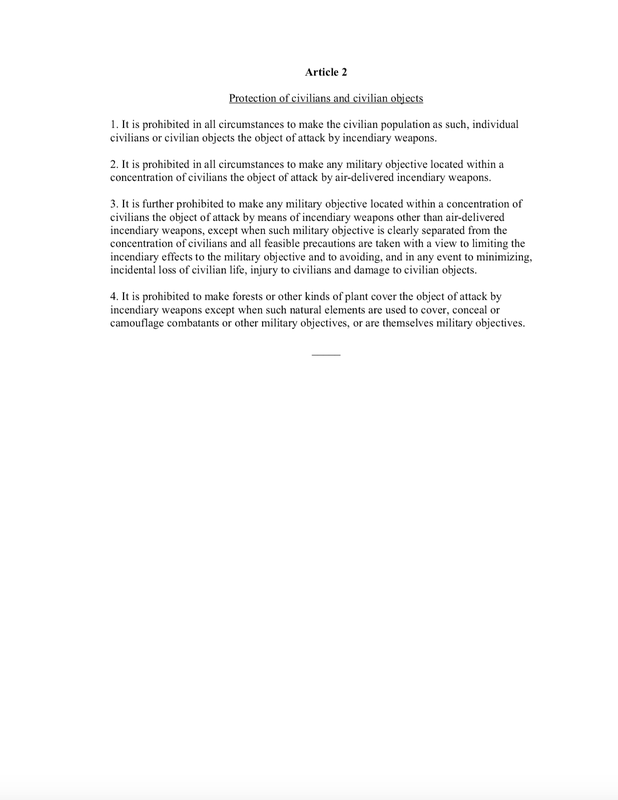 Incendiary weapons are defined as any weapon or munition which is primarily designed to set fire to objects or to cause burn injuries to persons. 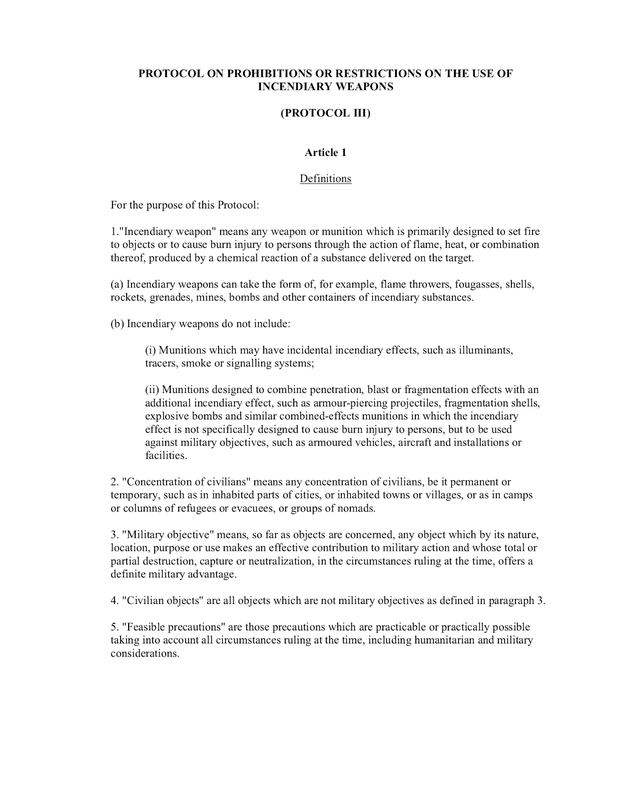 "The unlawful use of white phosphorus was neither incidental nor accidental. It was repeated over time and in different locations, with the IDF "air-bursting" the munition in populated areas up to the last days of its military operation. 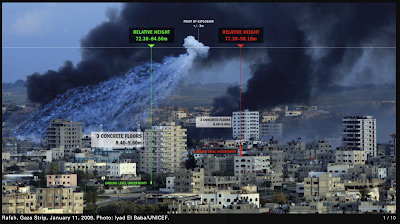 Even if intended as an obscurant rather than as a weapon, the IDF's repeated firing of air-burst white phosphorus shells from 155mm artillery into densely populated areas was indiscriminate and indicates the commission of war crimes. The dangers posed by white phosphorus to civilians were well-known to Israeli commanders, who have used the munition for many years. According to a medical report prepared during the hostilities by the ministry of health, "[w]hite phosphorus can cause serious injury and death when it comes into contact with the skin, is inhaled or is swallowed." The report states that burns on less than 10 percent of the body can be fatal because of damage to the liver, kidneys and heart. When it wanted an obscurant for its forces, the IDF had a readily available and non-lethal alternative to white phosphorus-smoke shells produced by an Israeli company. 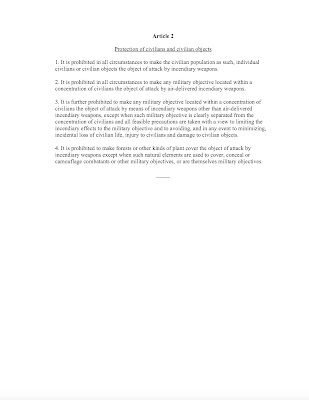 The IDF could have used those shells to the same effect and dramatically reduced the harm to civilians. Using white phosphorus in densely populated areas as a weapon is even more problematic. 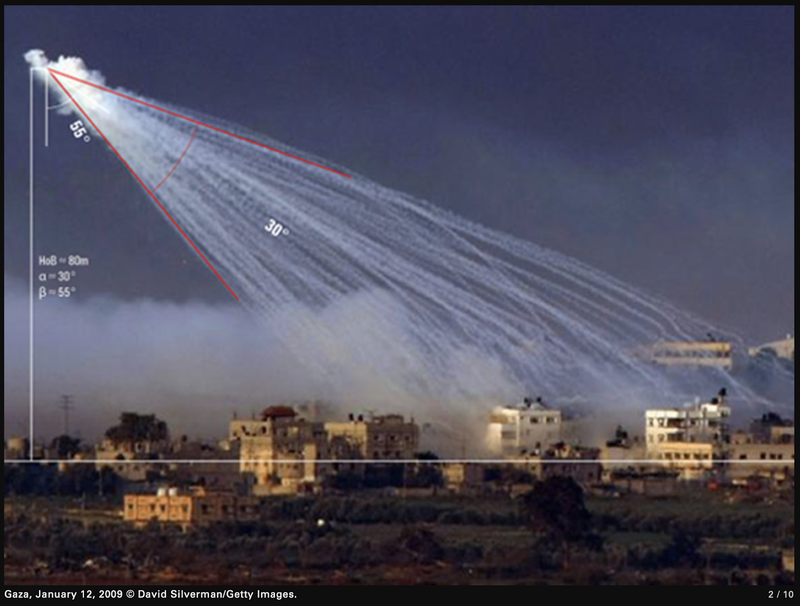 Human Rights Watch found no evidence that Israeli forces fired ground-burst white phosphorous at hardened military targets, such as Palestinian fighters in bunkers, but it may have air-burst white phosphorous for its incendiary effect. 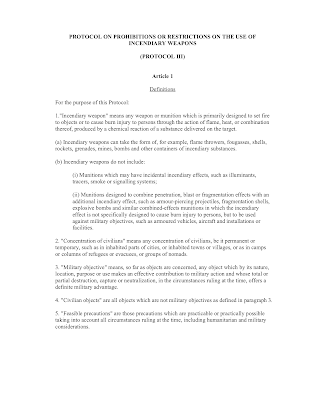 Fired from artillery and air-burst to maximize the area of impact, white phosphorous munitions will not have the same lethal effect as high-explosive shells, but will be just as indiscriminate." Inhalation of smoke created by white phosphorus can also result in death. White phosphorus itself is highly dangerous with the Centers for Disease having an extensive protocol for dealing with this toxic substance that you can find here. According to a local monitoring group, the June 2017 U.S. strikes resulted in the deaths of at least 14 civilians. ... it would not be terribly surprising to find that the United States has, once again, unleashed a lethal and banned weapon as part of its futile efforts to rid Syria of Bashar al Assad. The use of fire and brimstone by U.S. forces is almost biblical.